Where is there to go for a night out in Southampton? 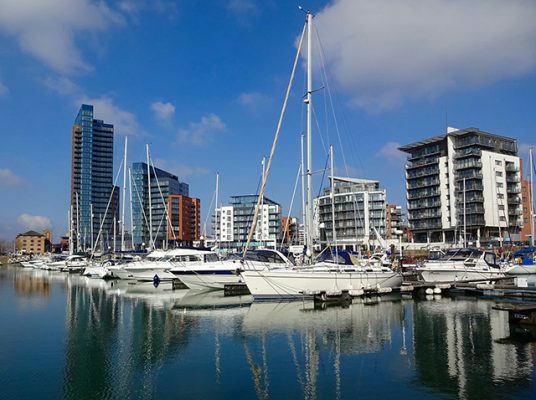 Southampton has lots to offer in terms of nightlife, whether this be cosy pubs to funky bars, cheap student nights to more upmarket nights. Stags on Highfield Campus - cheap student prices! Cowherds on the Common - a traditional English country pub feel. The Dancing Man near Mayflower Park - a quirky brewery. The Hobbit on Bevois Valley - Lord of the Rings style pub with interesting cocktails and music. The Giddy Bridge aka Weatherspoons in Bedford Place- experience traditional student culture by getting cheap drinks at Spoons! The Rockstone on Bevois Valley - good beers with even better burgers. The Talking Heads on Portswood Road - pub with intimate music venue! The Mitre in Portswood - similar vibe to Weatherspoons, cheap and cheerful. Jesters, Bevois Valley - otherwise known as the Palace of Dreams and home of the Jesticle. No other club like it. Don't wear good shoes or nice clothes. Sobar, Bevois Valley - cheap, and home to the £2 quadvod on Tuesdays. Switch, City Centre - holds a lot of events. Most popular night is Fridays. Junk, Bedford Place - winner of Britain's best small club in 2013. Orange Rooms, Bedford Place - holds a popular international night on Wednesdays. Popworld, Bedford Place - cheesey music! Tokyo, Bedford Place - club with a Japanese twist! Buddha Lounge, Bedford Place - if you fancy a classier night out! Cafe Parfait, City Centre - good fun, with student nights on Mondays and Thursdays. Oceana, City Centre - Southampton's biggest club. Best student night on Wednesdays! The Edge, St. Mary's - one of Southampton's most popular clubs, Southampton's best LGTB+ clubs!